Nawaz Sharif's statement comes a day after Pakistan's accountability court in Islamabad reserved its judgment in the Avenfield properties case. Nawaz Sharif said Pakistan has had a history of verdicts remaining "unnecessarily" reserved for months. 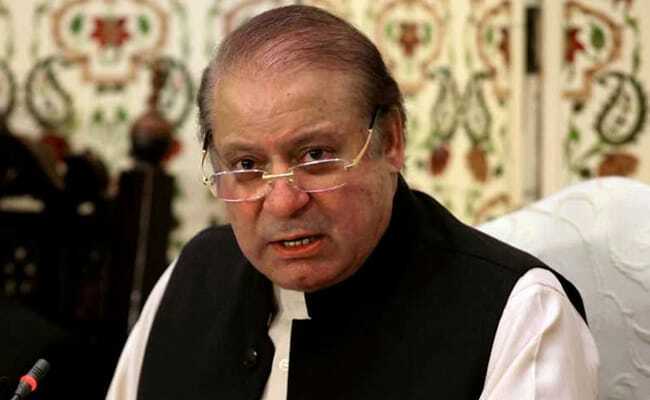 Embattled former Pakistan prime minister Nawaz Sharif said the accountability court should delay its verdict in a corruption case against him till he returns to the country, emphasising that he was not a "dictator" who will run away from the courts. Mr Sharif's statement comes a day after the accountability court in Islamabad reserved its judgment in the Avenfield properties case and said the verdict in the case involving him and his family would be announced on Friday. Talking to reporters in London, the 68-year-old three-time premier said he wants to hear the judgement in the case while standing in the courtroom where "I have endured more than 100 hearings with my daughter Maryam [Nawaz]". "I am not a dictator who will run away from the courts," he said, taking a dig at former Pakistan President and army chief Pervez Musharraf, who has refused to return to the country from the UAE to face a slew of cases against him. Mr Sharif was speaking to the media outside Harley Clinic in London where his wife, Kulsoom is undergoing treatment for throat cancer. "My wife has been on a ventilator since last 21 days. I want to hear the verdict in the court room where I have presented myself with my daughter over 100 times," he was quoted as saying by Geo TV. The Pakistan Muslim League-Nawaz party chief said that irrespective of the decision, whether it is in his favour or not, he will return to Pakistan. "I will return as soon as Kulsoom's health improves," he said. "She (Kulsoom) underwent an operation yesterday." The former prime minister said that the court gave verdict on the eligibility of a politician from Rawalpindi after reserving the decision for as many as three months. "I am not asking for three months but a relief for some days," he said. Mr Sharif said Pakistan has had a history of verdicts remaining "unnecessarily" reserved for months, hence delaying the judgement of the Avenfield case for a few days "considering an extremely sensitive matter" would not violate any requisite of justice or law. "I want to hear this judgement while standing in the courtroom, amidst my people [and] holding them as the witness," he said. He said that the nation's decision on July 25 will change the destiny of the country, referring to the general elections. "The entire nation is aware of one-sided actions against me," he said. Mr Sharif has been disqualified by the Supreme Court in the Panama Papers scandal. The ruling has barred him from holding public office for life. The Avenfield case was among four cases filed by the National Accountability Bureau (NAB) against the former premier and his children on Supreme Court's orders following the Panamagate case which disqualified Mr Sharif. The NAB prosecutor has stated before the accountability court that Nawaz Sharif had acquired four apartments in Avenfield House, Park Lane, London. The Sharif family insists that they had purchased the posh London apartments through 'legitimate' financial resources. The Sharifs have denied any corruption and wrongdoing. The former prime minister has described the corruption charges against him and his family as politically motivated. However, they have remained unable to disclose those resources before the accountability court or the Supreme Court, Pakistani media reported. Besides Mr Sharif, his daughter Maryam and son-in-law retired captain Mohammad Safdar, NAB had also named Hussain Nawaz and Hassan Nawaz - Mr Sharif's sons - as accused in all three corruption cases. Hasan and Hussain have been declared absconders in the case as they are reportedly in London with their mother.